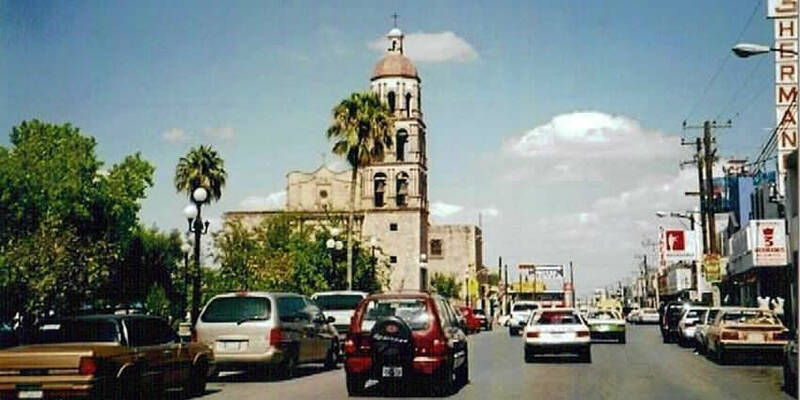 Santiago de la Monclova, more commonly known as Monclova, is a city and seat of the surrounding municipality of the same name in the northern Mexican state of Coahuila. According to the 2015 INEGI census there were 231,107 inhabitants in the city and 231,107 in the municipality. Its metropolitan area (Monclova, Frontera, Castaños, San Buenaventura) has 363,753 inhabitants and has a population density of 29.88 inhabitants per square kilometers. Monclova is the third largest city in Coahuila (after Saltillo and Torreón). The city accounts for the highest production of steel in Mexico, hence its nickname The Steel Capital (La Capital del Acero, in Spanish). In 1942 the steel factory Altos Hornos de Mexico was founded, accelerating the industrial development of Monclova. Established on July 25, 1577, Monclova became the first city in the region known as Coahuila, and later known as the State of Coahuila. During the colonial period and the first years of the 19th century, Monclova served as the capital of Nueva Extremadura. It remained the capital during the early years of Mexico’s independence. During the initial battle for Mexican Independence from Spain, fleeing rebel leaders who had been captured at the Wells of Bajan were first taken to Monclova before the long trip to the city of Chihuahua. The captured leaders were Juan Aldama, Ignacio Allende, Miguel Hidalgo, and Jose Mariano Jimenez. With the adoption of the 1824 Constitution, which created the state of Coahuila y Tejas, the capital was transferred to Saltillo. In 1828 this decision was overturned when Monclova was declared the capital of the new state, however the state legislature continued to convene in Saltillo. On March 9, 1833, the state legislature settled the dispute in Monclova’s favour, and this decision was ratified by President Antonio López de Santa Anna on December 2, 1834. With the enactment of the 1836 Constitutional Laws, whereby the federal republic was converted into a centralised one, the state of Coahuila y Tejas was divided into two departments, Coahuila and Tejas (or Texas, as it would later become), and Saltillo was finalized as Coahuila’s capital. However, 1835-36 was also the period of the Texas Revolution, and Texas became an independent republic. Monclova sits at an altitude of 600 m above sea level, but over the years the sand sediments of the city have sunk it 8 meters below the original level due to the weight of constructions. It is located in the state’s central region (Región Centro), in the east-central part of the state. Monclova experiences a warm semi-arid climate, with a median yearly temperature of 22.0 °C (71.6 °F). The median temperature of the coolest month, January, is 13.6 °C (56.5 °F), although the temperature can climb as high as 30 °C (86 °F) during some days and it can drop0 °C (32 °F) some nights and mornings. In the 1970s the coolest temperature recorded was −4.2 °C (24.4 °F) on February 9, 1973. In the 1990s the same value was recorded on January 13, 1997. Since 2000 the lowest recorded was −2 °C (28 °F) on January 17, 2007. Probably the coldest snap in recent history took place on Christmas Day 1983, when the city’s temperature plunged to −9.5 °C (14.9 °F). On the other hand, temperatures during late spring and summer can have bouts of extreme heat, with evenings above 40 °C (104 °F) for many consecutive days. In recent decades the hottest records have climbed as high as 43 °C (109 °F) on July 13, 2005 and 45 °C (113 °F) on May 4, 1984. However nighttime low temperatures are typically 15 degrees cooler than daytime highs, due to the very arid conditions. Even in July, the warmest month, temperatures have gotten as low as 10.6 °C (51.1 °F) in 1975. The median temperature July is 28.6 °C (83.5 °F). A typical summer day has a low around 21 °C (70 °F) and a high near 35 °C (95 °F). In 1976 the wettest month on record took place in July, with 287.3 mm (11.31 in) of rain, more than half the median yearly value of 376.7 mm (14.83 in) ; however the average wettest month is September with 78.5 mm (3.09 in) . The warmer months of the year are typically wetter than the cooler ones. Cold fronts in winter have the possibility of drastically reducing temperatures in the area, and are responsible for the little rainfall of such period. Even snowfall has occurred in Monclova some winters, although most years it is a phenomenon reserved only to the nearby mountains. Precipitation occurs an average of 47 days, out of which 6 will be thunderstorms and at least one day with hail. The Santiago Apostol Parish Church – Construction of this building began in the second half of the eighteenth century. Its façade consists of carved cantera stone. The San Francisco de Asis Parish Church – St. Francis of Assisi Church, seventeenth century. Ermita de Zapopan Church – Due to damage caused during the revolution and to conserve original details like its bells and walls, restoration was carried out at the beginning of the nineteenth century. El Polvorin (The Powder Magazine) – Museum with collections of anthropology, biology, sociology, watercolor art, geology, mathematics, communications, archery, guns, other weapons, and Mexican sexual culture. Pape Museum Library – For 28 years, this cultural and recreational center, promoted by the Pape Foundation, has given seasonal expositions of artistic works. Its permanent exhibit chronologically illustrates the life and work of the couple Harold and Lou Pape. It also has an auditorium for 300 people where plays and musical concerts are performed. Next to the museum is the Harold R. Pape Library. Meteorological Observatory – The observatory is the largest in the state with a 16-inch opening. Controlled by a computer, it integrates a highly sophisticated video system that projects live images of the sun, the moon, and the planets onto a black and white screen. This observatory was constructed by the government to educate the people about the difference between astronomy and astrology. Venustiano Carranza International Airport – The city’s airport. Xochipilli Park I and II – More than 20 hectares (49 acres) intended for relaxation and recreational activities form this original concept from the Papes. Its complete facilities include large sports and cultural spaces surrounded by green areas, lakes, rivers, fountains, and waterfalls.